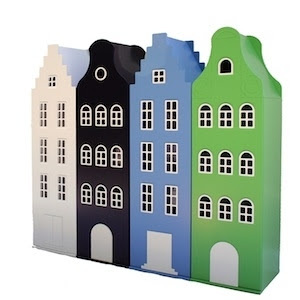 I'm dying to design a playroom or bedroom around this storage case! It can hold clothing or dress-up clothes as well as books and storage bins all behind closed playful doors. A pretty penny but available in custom colors and oh so chic and different! I am always visitng your blog. Love this storage!